Flip a coin. If tails, this attack does nothing. 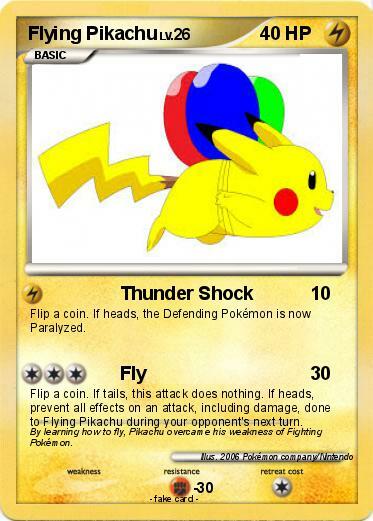 If heads, prevent all effects on an attack, including damage, done to Flying Pikachu during your opponent's next turn. Comments : By learning how to fly, Pikachu overcame his weakness of Fighting Pokémon.